This week, millions of Americans will gather around dining room tables all over the country and give thanks to the people who mean the most to them. Let me take this opportunity to say “thank you” to the individuals who I consider the foremost thought leaders in education—our superintendents. Last week, the nation’s State Superintendents of the Year convened in Washington, D.C. to celebrate the tremendous strides made in public education. They also exchanged ideas and best practices that are working in their respective school districts. 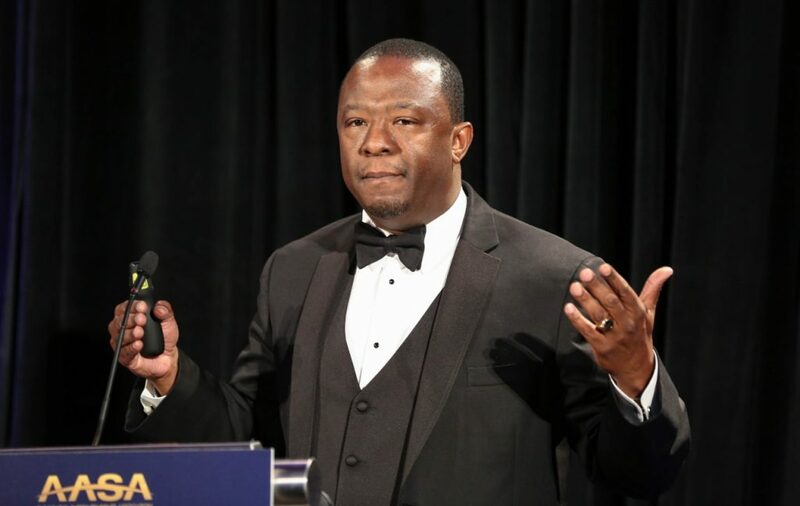 AASA 2016 National Superintendent of the Year Thomas S. Tucker presenting at AASA’s Superintendent of the Year Gala in Washington, D.C., on November 15, 2016. Over the past few weeks through our leadership programs, we have seen glowing examples of caring and compassionate teaching and learning going on in the U.S. 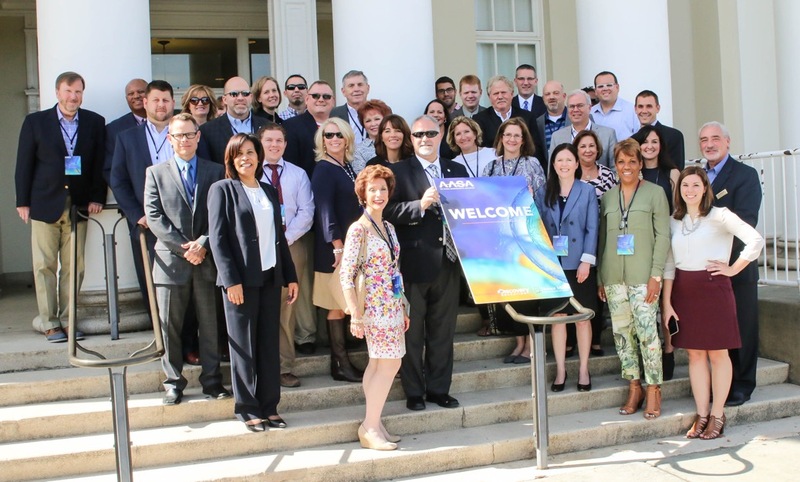 In late September, some of our superintendents met in Vista, Calif. as part of the Personalized Learning Summit. At a time when more than 100 school systems across the country are implementing personalized learning initiatives, this innovative practice has become a powerful way to reach every child to meet their specific needs. I thank California Superintendent of the Year Devin Vodicka and his school district, Vista Unified, for hosting this summit. Members of AASA’s Digital Consortium meeting at California’s Napa Valley Unified School District. A few weeks later, several dozen superintendents met in California’s Napa Valley Unified School District for the fall meeting of AASA’s Digital Consortium. As Jill Gildea, superintendent of Illinois’ Fremont School District, tweeted during the meeting, “learning and engagement is evident.” New Technology High School was among the schools visited during the meeting. Principal Riley Johnson stated, “We have teachers here who are some of the best project-based practitioners I’ve ever met.” Part of New Tech’s mission is “to be a student-centered model for education innovation.” The gathering proved to be very successful, giving tech-savvy superintendents opportunities to bring proven ideas back home when it comes to digital learning. Earlier this month, representatives from K-12 leadership and heads of community colleges met for the fourth time in two years to raise awareness about one of the most critical issues in education today: college readiness. As part of our partnership with the American Association of Community Colleges, the meeting was an example of what it means to blur the lines with school districts and community colleges as we find new ways to get kids ready for college and later life. As I travel throughout the country, I am pleased to see more and more superintendents engaging with other superintendents and education stakeholders to improve their individual skill sets and strengthen their respective school districts. America’s education system is the best in the world. Our graduate rate is the highest it’s ever been. Our drop-out rate is the lowest it’s ever been. More kids today are attending college than ever before. It’s no wonder that our superintendents are our nation’s champions for children. They are the educational ambassadors in their communities. Thank you for the outstanding work you do. Happy Thanksgiving!